Please note the new venue for this event – if you’ve already booked places we’ll be in touch to confirm the change. 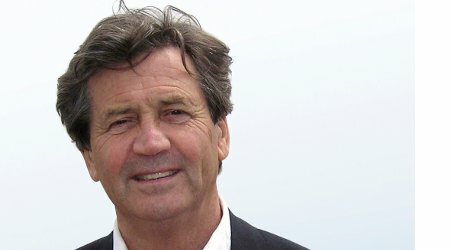 Five years since his last novel, Melvyn Bragg is finally back. It has been well worth the wait. Grace & Mary is a novel of remarkable scope that stretches across three generations, telling the story of John and his elderly mother, Mary. As Mary’s grip on the present declines, John reawakens her memories through music and photographs, only to discover her painful longing for the mother she barely knew – Grace. Supplementing Mary’s childhood memories with his own imagination, John reconstructs Grace’s life and gives Mary the chance to get to know the mother who had been absent from her life for so long. Melvyn is a polymath and gentleman – don’t miss this opportunity to meet him.